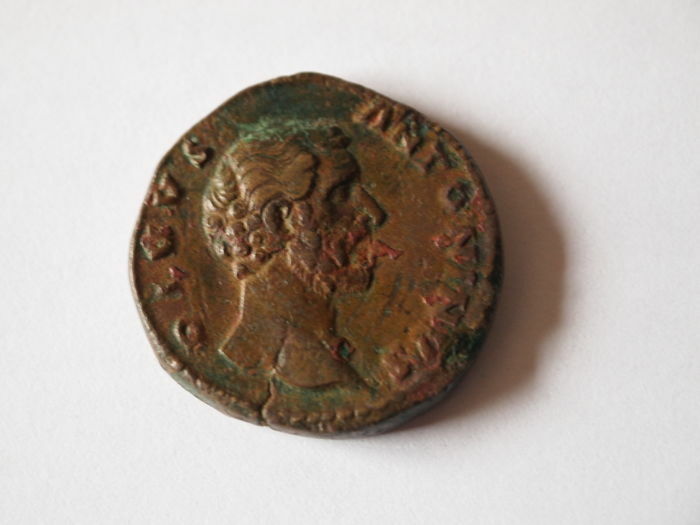 One sestertius struck in the mint of Rome 161 A. D. by emperor Antoninus Pius (138-161 A. D.). 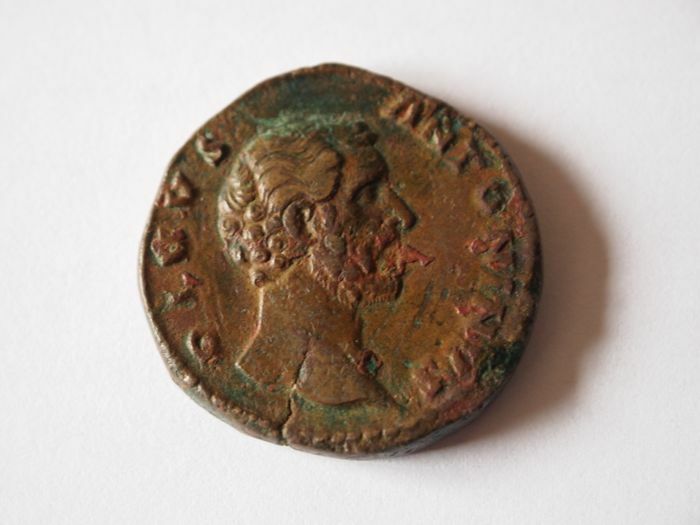 Obverse: Beautiful portrait, naked bust to the right with the caption: DIVVS ANTONINVS. It preserves all the letters of the caption and a part of the dot edge, some oxidation in front of his mouth. Reverse side: Funeral pile of four decks, surmounted by a chariot. Caption, entirely preserved, CONSECRATIO S. C.
Ref. 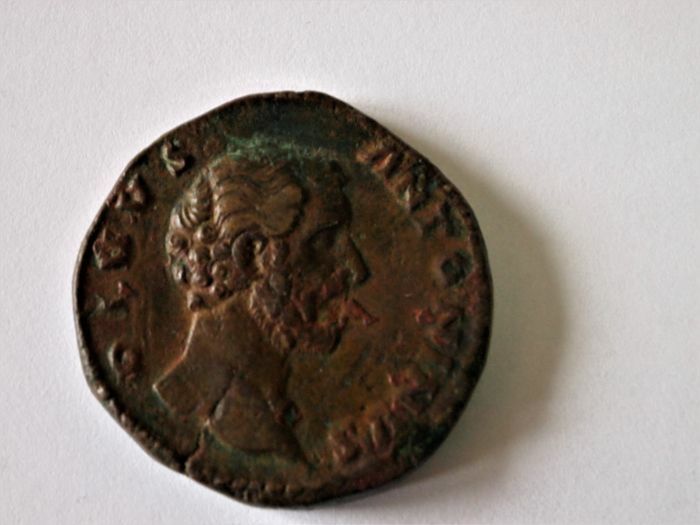 Cohen 165 RIC 1266 Marcus Aurelius. 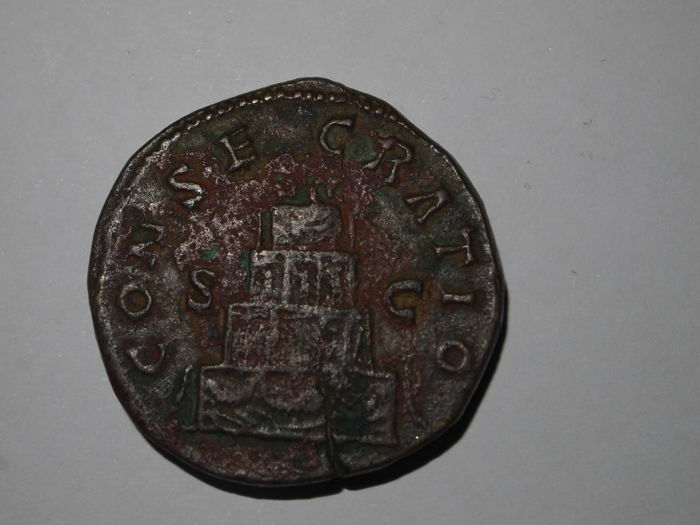 Strong reddish patina and greenish in some parts.